Brand new rustic cabin. Very clean inside. Brand new mattresses. Full size bed and single above bunk bed style. TV with WiFi (Netflix) at the cabin only and close to that area. Wood stove for heat. Full electric. small size refrigerator and microwave oven. 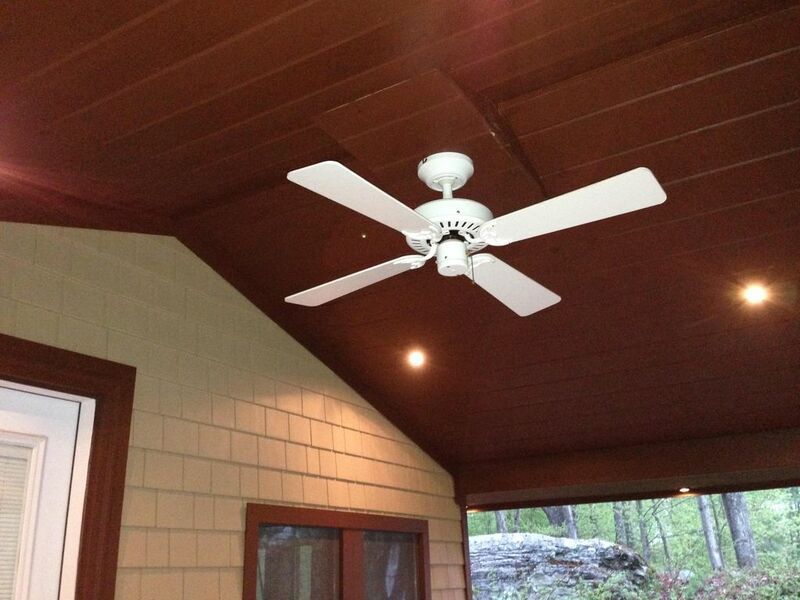 Ceiling fan inside the cabin and ceiling fan on the 8 x14 foot porch. a brand new beautiful outhouse about 40 feet from the cabin if you like that real cabin outdoors experience. Accessible to brand new full bathroom, one half bathroom, full kitchen at the trailer (included with the rental if you choose to stay in the trailer or both) with a king size bed and a single bed. Everything is included so try not to be too confused. Beautiful back yard. Pets are always welcome. There is a nice fire pit in the back yard to sit around and watch the stars at night. On a clear night this place is the best for star gazing. Just come and relax. This place is very private. this property is very private and quiet. people say its very peaceful here. very close to Bethel Woods and Villa Roma. less then 20 miles from the Catskill Mountains and Monticello casinos. 7 miles from Lake Superior state park. parking any where on the property. We rented this property for 2 nights. It was very nice! We stayed here to attend a nearby venue, it was perfect!!! George was an excellent host, very responsive and had everything ready for us upon arrival. We are looking forward to staying here again next year!!!! My family and I stayed in the trailer. It was very clean, roomy and comfortable. The temperature at night dropped to 49 degrees but we were warm and cozy. George is a very nice host and made us feel very welcomed and at home. We would definitely return. If you are looking for a great place to relax look no further, you found it. The place is awesome only thing better was George your Host.. This was our second time staying here. It is very close to Bethel Woods. It is clean and comfortable and the owner is very friendly. We had a really great weekend getaway here. We came with four humans and two dogs and had a lovely time. The dogs were able to stay off leash for the weekend on this big property. It's an incredibly peaceful place and George makes for great company. He joined us for our campfire and was very welcoming, but also ensured that we would have our privacy. There is a newly built cabin on the property and there is also a spare house (very sizeable, although he calls it a trailer). All of the amenities that you might need are there, but there is reason enough to be in tune with nature and just enjoy the surroundings. I would definitely stay here again. We were confused about the set-up and were unable to stay the full length of our stay. There are two living possibilities: a beautiful, brand new little cabin, that is simply one room with double decker double beds. There is no kitchen, no bathroom, no living room, not even a chair. Here there is Wifi and a large TV and a microwave and fridge. The cabin porch is delightful and we brought a couple of lovely meals out there. Perhaps 50 feet from the cabin there is a brand new and beautifully appointed outhouse. For two retirees, however, traipsing out into the pitch black woods several times a night to use an outhouse was not viable. Then there is the other living space, a trailer, that has a couple of bedrooms, and a beautiful bathroom but no wi-fi, no working TV, and only one comfy chair. The property itself is huge and our dog had the time of her life racing around the grounds. The owner does say some of this on the website but it just wasn't clear to us. He tried to work with us and was very friendly and accessible. Younger guests might have a much better experience. If you're looking to be out and about most of the time and just need a place to put your head at night, this is great.